I have to say a few words about making ‘Hoya Friends.’ Everyone should join a Hoya forum. Hoya forums are places where like-minded people can talk about Hoyas, ask questions, share information, trade plants, and make friends from all over the world! 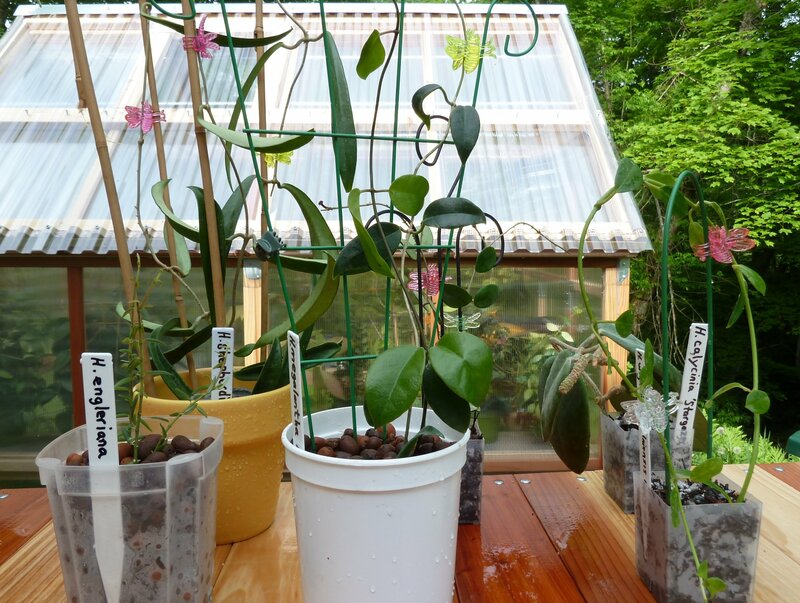 I want to share a photo of the lovely cuttings and plants that I received in a trade with a very good Hoya Friend from the UK, named Julie, who I met through the Hoya Cubit Forum. Some of these plants would have been very difficult to obtain elsewhere. I am thrilled! So if you are not a member of a forum, join one today! This entry was posted in Hoyas on May 27, 2012 by Doug.